LASIZWE ROCKS A TOWEL TO THE SA HIP HOP AWARDS! THE 6th Annual SA Hip-Hop Awards are currently taking place at the Lyric Theatre in Gold Reef City, Johannesburg. 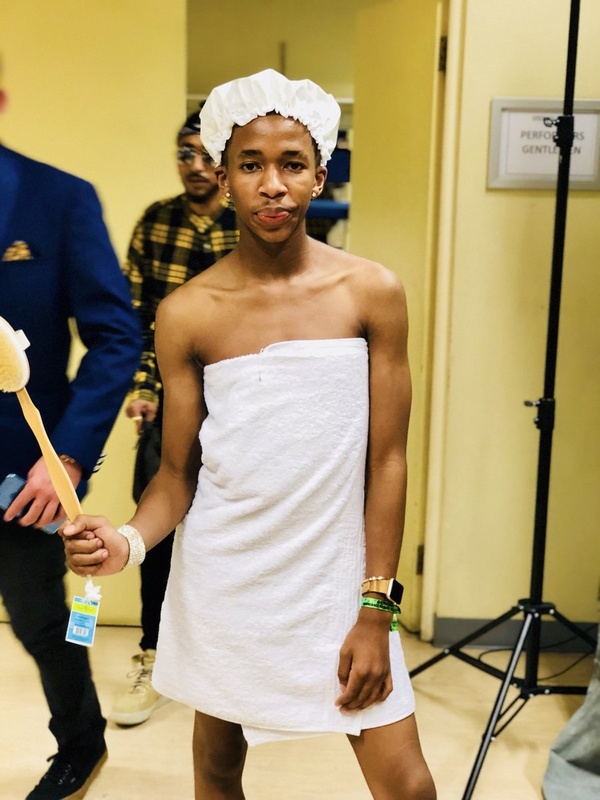 The awards didn't go down without their fair share of fashion statements as comedian LaSizwe showed up at the awards wearing a white towel. Meanwhile, Gigi Lamayne showed up wearing a tongue wagging pink dress that sent Twitter on a craze.